Imagine you’re an executive in San Jose, Calif., and your assistant is in Richardson, Texas. 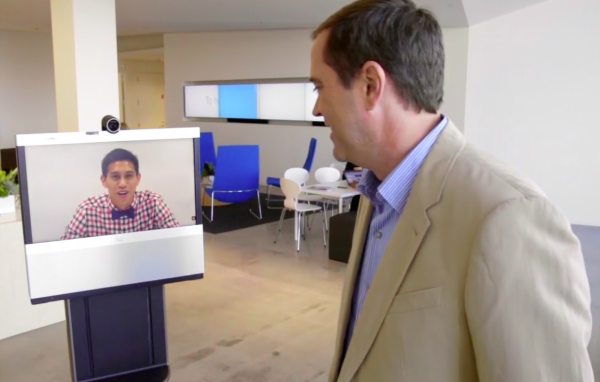 Cisco Systems, Inc. senior vice president of software strategies and operations John Brigden doesn’t need to imagine that scenario because he lives it every day – his assistant Hollye Taylor, known around Cisco’s San Jose headquarters as “Virtual Hollye,” is based in Richardson, and collaborates with Brigden using Ava 500, their company’s remote teleconferencing robot, a collaboration between Cisco and Roomba developer iRobot. 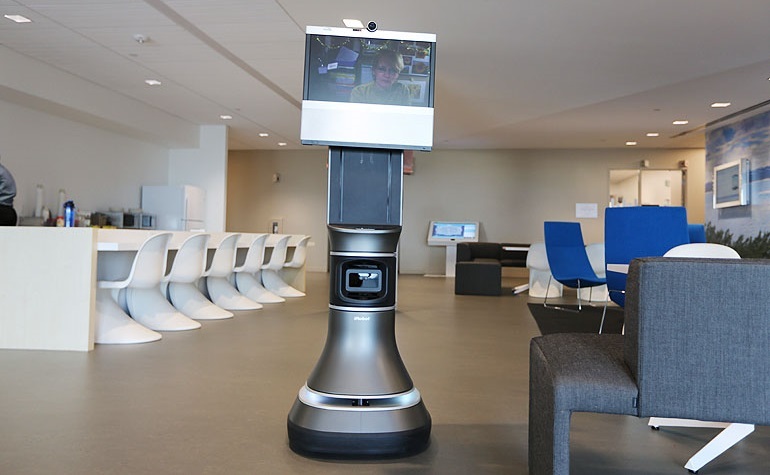 Brigden and Taylor aren’t the only Cisco employees who enjoy having a robot around, either. Read on. 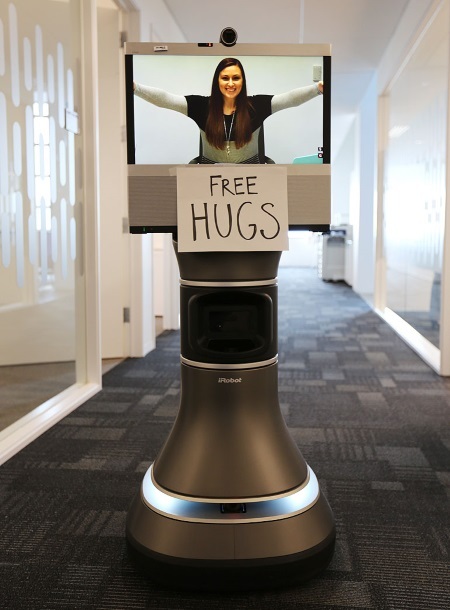 Social media communications specialist Brittany Coletti uses the Ava 500 to walk around Cisco’s headquarters during National Hug Day (Jan. 21). 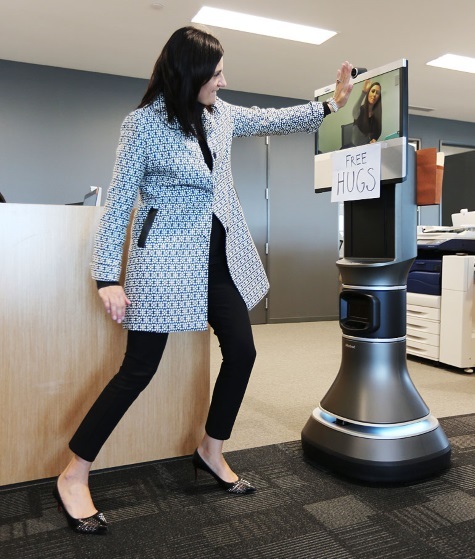 Cisco senior vice president and chief marketing officer Karen Walker gives the Coletti-controlled Ava a friendly wave. Senior vice president and chief human resources officer Fran Katsoudas gives it a high-five. Executive assistant Hollye Taylor rolls through a kitchen at Cisco’s San Jose headquarters, controlling Ava from Texas. Speaking to Cisco editorial producer Stephanie Chan, Taylor says that Ava can feel so human, sometimes her supervisor Brigden forgets the robot lacks arms and legs. 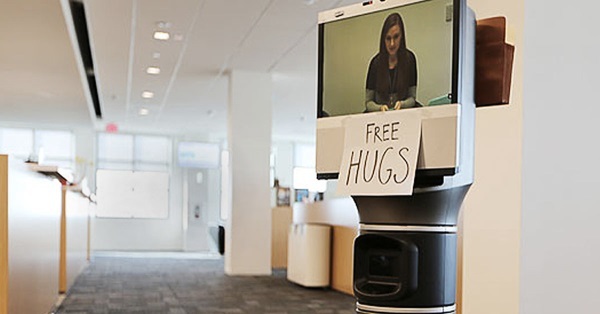 What do you think about the prospect of a robot coworker at your office? Are the teleconferencing benefits (and reported $69,500 USD price tag) worth it?